Looking for a ‘Gouda’ time? Food Fight Trivia Nights at Cheesewerks! At The Neon Leopard, when we find something cool or fun to do in our city, we love to share it. Today we are going to let you know about an amazing event that we have been obsessed with having a lot of fun participating in over the last few months. Cheesewerks restaurant has regular Food Fight Trivia nights and we have been loving it. 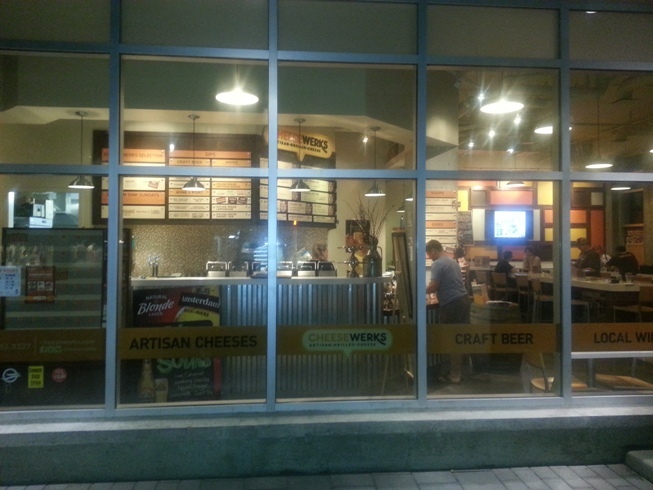 Read about Ash’s first experience at Cheesewerks HERE. Since then, we have both have become regular fixtures at the restaurant. Just to refresh your memory, Cheesewerks is a family owned and operated restaurant located in downtown Toronto, at Bathurst and Wellington. 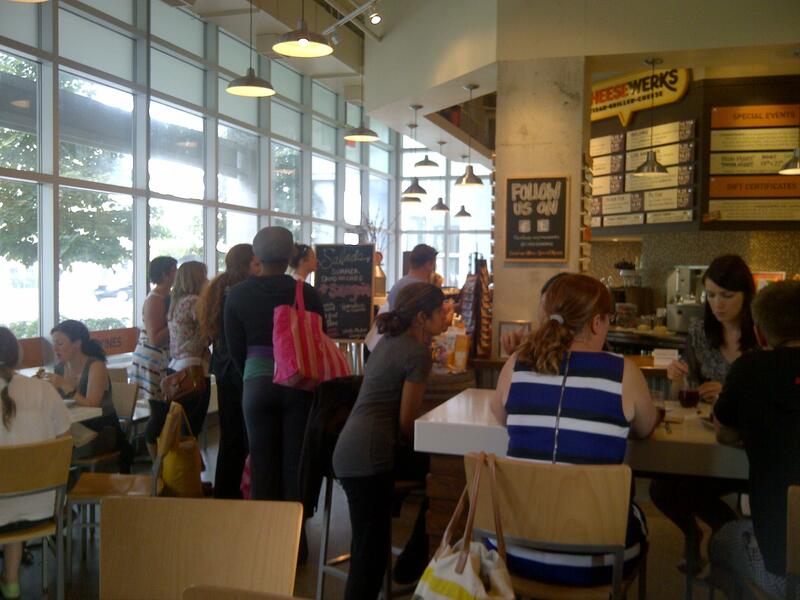 In their own words: “Cheesewerks is an experience of artisan grilled cheese, fine cheese selections and charcuterie, mac+cheese, cheese fondue and other ooey gooey grub that you can enjoy with house made sodas, a glass of wine, small-batch artisan brew or take home”. If you love cheese (who doesn’t?!) and have never been to Cheesewerks, finish reading this post and then run, don’t walk, and head straight there for a meal. Delicious. Cheesewerks owner, Kevin (The Big Cheese) is warm, friendly and fun. 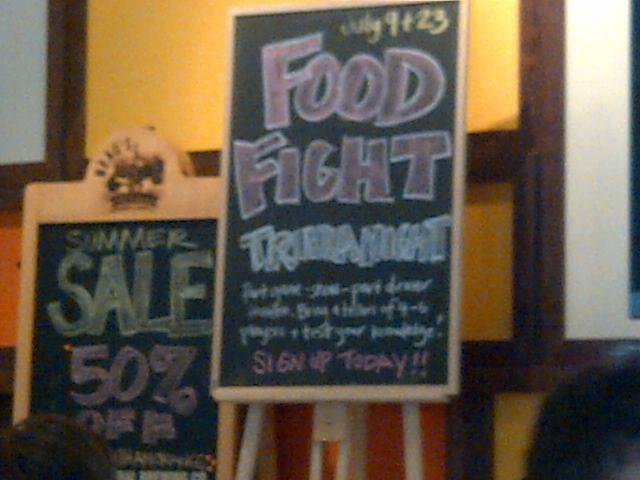 Food Fight Trivia Nights are his creation and he works hard to bring these game nights to the resto twice a month. TNL has competed about once a month as a part of a stellar team called The Cheese Louises. The Louises are proud to say that we are now 5th in the top ten team ranking! So, how does trivia night work? Well, you begin by assembling a team of four or more people and giving your team a PUNny ,cheesy name. You can register your team in advance by phoning (416) 243-3327 or e-mailing (info@cheesewerks.com). The entry fee is $2 per person, paid on trivia night. There is a cash prize for the top team, as well as lots of great swag for runners-up. On food Fight Trivia Nights, the restaurant is often sold out, and filled to capacity. So, arriving early to secure your table and get your grub on pre-game is recommended. The menu at Cheesewerks is always a joy and a huge bonus to trivia fun, is that you get to enjoy ooey gooey fare while you play. We indecisive TNL ladies often find ourselves texting frantically pre- game time when we are wrestling with what to order later. Nachos, quesadilla, sandwich, mac and cheese? Decisions, decisions. Oh, the stress. The trivia game itself is filled with food and pop culture themed questions. There different rounds with different trivia styles to keep you on your toes. Short answers, multiple choices, name that tune, mystery food taste testing and picture identification always pop up. In addition, Kevin always surprises us with amazing new categories. Last week’s trivia included a Twitter competition and a MELONS category (featuring Pamela Anderson’s, Rupaul’s and even square watermelons) ! Kevin always works hard to make sure each trivia night is unique and fun. We have even noticed some of his categories popping up on the new Hollywood Game Night television show. Cheesewerks did it first, Hollywood! This Fall, Kevin will be appearing on the HGTV main stage at Toronto’s Home Show. The Big Cheese will be introducing celebs, hosting Q&A’s and presenting a daily Cheesewerks cooking segment each day of the show. A live Food Fight Trivia Night will take place at the show! There will be ten teams competing , and the audience will get to play as well. Six teams will be chosen based on Cheesewerks Food Fight rankings as well as wild card spots! There will be loads of prizes and swag to be won, including beer and samples from Beau’s All Natural Brewing Company, whom is always a fantastic supporter of Food Fight Trivia Nights. So, Food Fight Trivia Night is about to get even bigger and better! 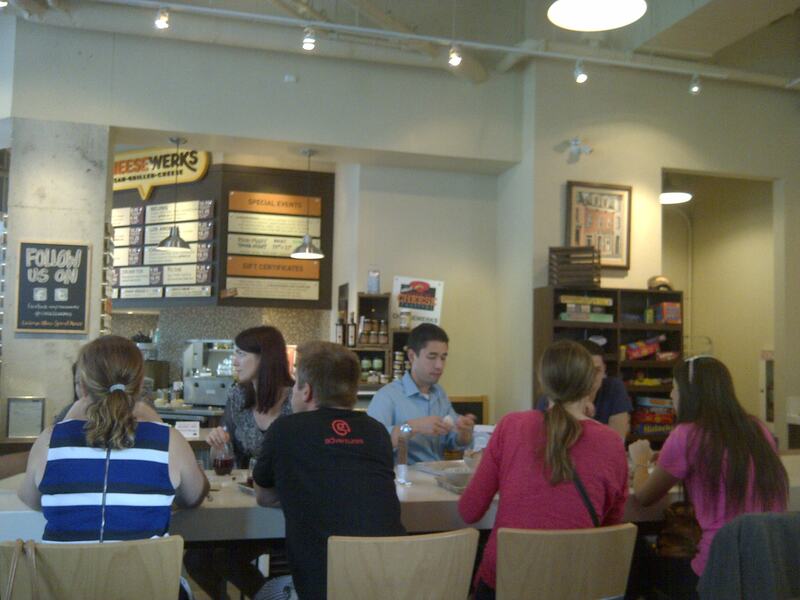 If you enjoy great food and fun trivia, you’ve got to head down to Cheesewerks and give it a try. But, be warned…trivia night is NOT a “Bries”; there can be some really tough questions. 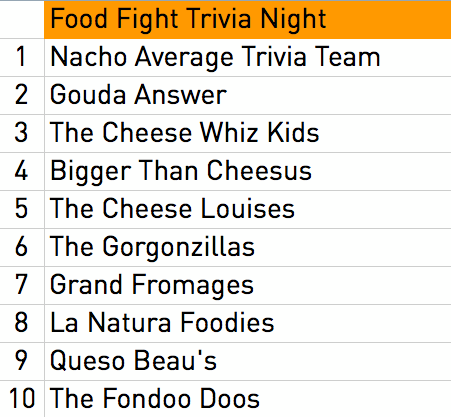 Food Fight Trivia Night dates are always posted on Cheesewerk’s website and Facebook page. If you give it a try, let us know how you did! Who knows, the Cheese Louises may just see you there! Yay for the Cheese Louises! Kevin really does put a lot of effort into those trivia questions, video montages and taste tests – I can’t wait for the next Trivia Night! Me neither, so much fun! WOOT for the Louises! Let’s do this ladies!